Russian merchant ships are spying on U.S. nuclear submarines in the Pacific Northwest and reporting the information to Moscow's military intelligence service, according to classified U.S. intelligence reports. The classified July 2000 CIA report obtained by The Washington Times states that recent intelligence "provides the first solid evidence of long-suspected Russian merchant ship intelligence collection efforts against U.S. nuclear submarine bases." The confirmation challenges the official Pentagon response to the April 1997 incident involving the firing of a laser at a U.S. intelligence officer and Canadian helicopter pilot as they photographed the Russian merchant ship Kapitan Man as it spied on a nuclear missile submarine in the Strait of Juan de Fuca, north of Seattle. One of the Russian crew is believed to have fired the laser device at a Canadian helicopter, causing permanent damage to the eyes of Navy Lt. Cmdr. Jack Daly, an intelligence officer, and Canadian Capt. Pat Barnes, the helicopter pilot. Pentagon spokesman Kenneth Bacon said at the time there was no evidence the Kapitan Man was engaged in intelligence gathering. According to the CIA report, stamped "secret," the cargo ship Kapitan Konev informed intelligence officials in Vladivostok about a "visual contact" with a U.S. submarine while transiting the Strait of Juan de Fuca on its way to Seattle. The strait is a major transit point for U.S. nuclear missile submarines heading out to sea from Submarine Group Nine based in Bremerton, Wash. The CIA stated the Kapitan Konev identified the U.S. submarine as a ballistic missile sub. However, other intelligence reports obtained by The Times stated that a Russian national, identified only as "Anatoli Anatolyevich," notified Vladivostok that he had spotted the USS Parche, an attack submarine used in U.S. covert operations. Russia is continuing to spy on U.S. warships and submarines and some Pentagon officials fear the data could be sold or leaked to international terrorists, like those who bombed the destroyer USS Cole last month. A separate National Security Agency report stated that a spy on the Kapitan Konev on July 7 contacted Vladivostok "to report a submerged/sinking ship was headed out to sea" through the strait. The NSA report said the ship made two "intelligence reports" on the submarine activities. A second, more detailed message was sent later that contained more data on the Parche and on the movement of other U.S. and Canadian military vessels. "This ship [Kapitan Konev] is among a larger list of special interest vessels that have engaged in suspicious or anomalous activities on one or more occasions," the NSA report said. The CIA report stated, "Ships operating under the control of the Far Eastern Shipping Co. (FESCO), such as the Kapitan Konev, have been involved in numerous incidents in the vicinity of U.S. submarines since 1992, when Seattle and Tacoma ports were opened to Russian merchant ships," the report said. "FESCO presumably relays information on U.S. naval movements to Russia's Pacific Fleet Naval Intelligence Center in Vladivostok." According to the CIA report, the Kapitan Konev "delayed its departure from Port Angeles, Washington in May 1997, allowing it to close to approximately 2,000 yards of a departing U.S. ballistic missile submarine." Neither report mentioned the April 1997 incident involving the Kapitan Man and the Canadian surveillance helicopter that was photographing the ship's antenna array. The report, however, did mention another spying incident involving the Kapitan Man. 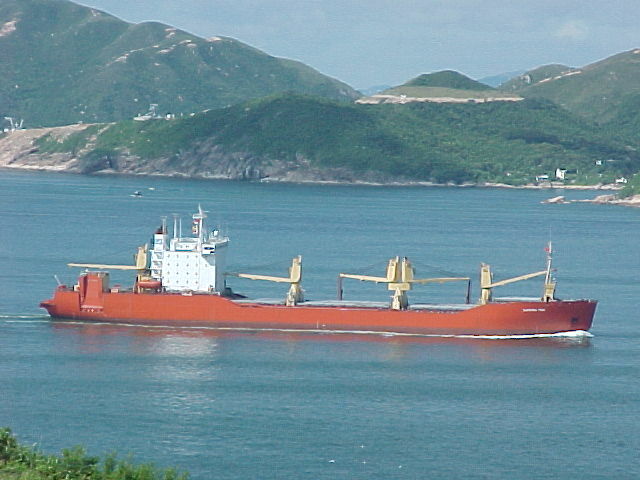 It said the "FESCO-owned Kapitan Man in November 1996 was the only merchant ship requesting anchorage in the Strait of Juan de Fuca as a result of inclement weather." "Coincidentally, a surfaced U.S. submarine was transiting inbound through the strait," the report said. During the April 1997 laser incident the Kapitan Man was detained and searched but no laser device was found. U.S. investigators were limited by the State Department from conducting a thorough search and the Russian Embassy in Washington was notified in advance of the search by the department, giving the Russian crew time to hide or dispose of a hand-held laser, according to Pentagon officials. Pentagon officials have said privately the incident was covered up in order to avoid upsetting relations with Russia. Before the incident, Vice President Al Gore met with Russian Prime Minister Viktor Chernomyrdin and discussed loosening customs controls on Russian ships entering U.S. ports. Documents obtained by The Times in 1997 said the incident was kept secret "due to the sensitivity of the incident," even though a U.S. serviceman had been injured in a hostile action. A Pentagon investigation later determined that it could not prove a laser was fired by someone on board the ship. The Pentagon also said at the time there was no evidence to indicate the Kapitan Man was engaged in spying on U.S. submarines. Cmdr. Daly was later targeted for "reprisal" and twice passed over for promotion after testifying before Congress on the eye injuries he sustained during the intelligence mission. However, the Navy inspector general investigating the matter reported that he had been treated unfairly and was promoted. Cmdr. Daly's injuries, and those of Capt. Barnes, have not healed. Another classified Pentagon intelligence report produced before the NSA and CIA reports stated that spy agencies could not find "conclusive evidence implicating commercial maritime vessels of the Russian Federation in deliberate intelligence collection" against the United States and Canada. The report stated that numerous "anomalous events" supported the belief that Russian commercial ships are spying for Moscow. "However, in all cases, no evidence that conclusively implicates Russian vessels in intelligence activities in North American waters has been discerned," the report said. "The CIA found the conclusive evidence," said one U.S. government official. The Pentagon report said that between February 1999 and May 2000 there were nearly three dozen cases in which Russian merchant ships spied on non-Russian vessels. The reports included identification of numerous U.S. Navy warships, as well as British, French, Spanish, Portuguese and Italian ships and an Algerian Kilo-class submarine. The report also stated that Russian Far East merchant and fishing ships "continue to participate in Russian command and control exercises directed by the General Staff and the Navy Main staff." C4I.org recommeded reading: Unrestricted Warfare by Qiao Liang & Wang Xiangsui which discusses various new types of warfare which may be conducted by the Peoples Liberation Army and civilians, including information operations, trade wars, and using lasers to blind soldiers over killing them.